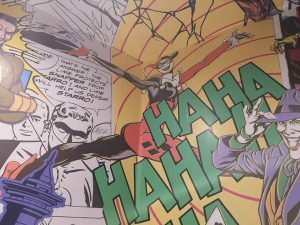 Comic-book fans always love a good Easter-Egg hunt for little tidbits of references, acknowledgements and smartly placed knick-knacks for true fans to find. 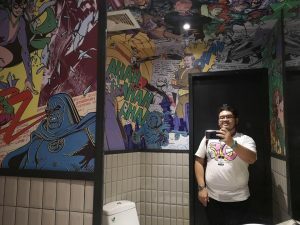 The essence of this geekery is very much present in the DC Superheroes Café Philippines branch as the founders really ensured that every nook and cranny has a piece of DC iconography that may catch your attention…if you have a keen eye, that is. So without further ado, here are 5 smartly-placed Easter Eggs we found when we did the press-rounds for the DC Superheroes Café Philippines. 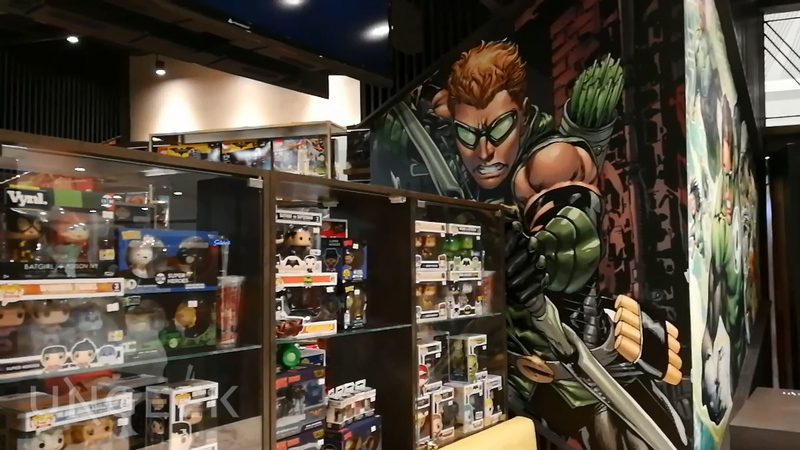 If you enter through the door with the very life-like Ben Affleck Batman and Gal Gadot Wonder Woman statues, make sure to look up! 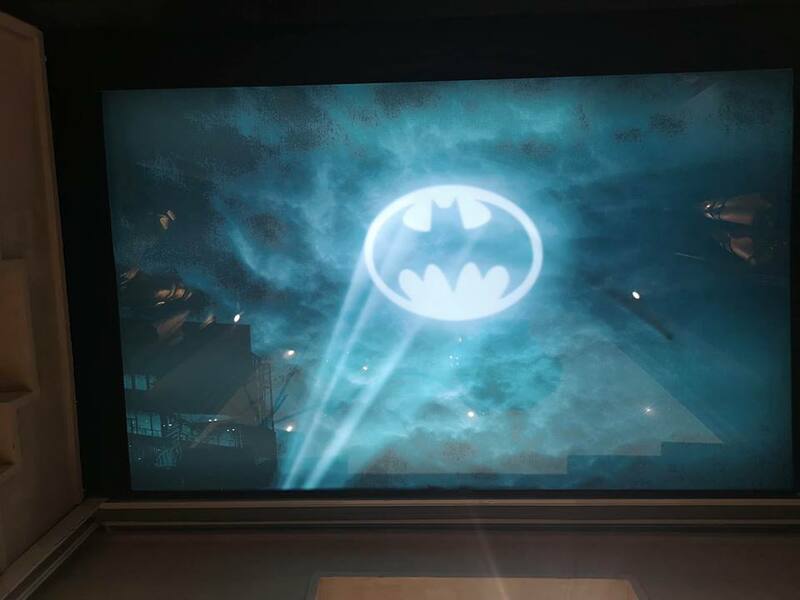 The lighted Bat Signal should greet you in all it’s gritty glory! 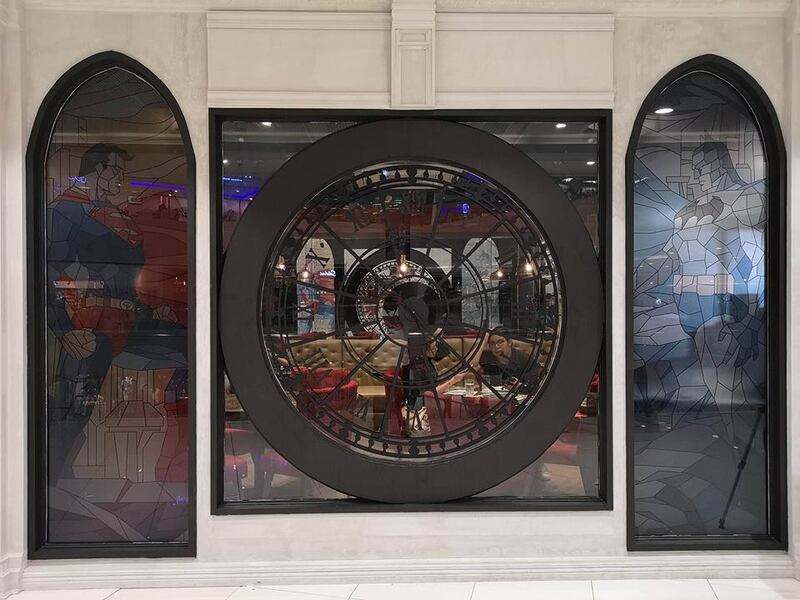 At one side of the restaurant marks a cool homage to DC’s top two superheroes: Superman and Batman. 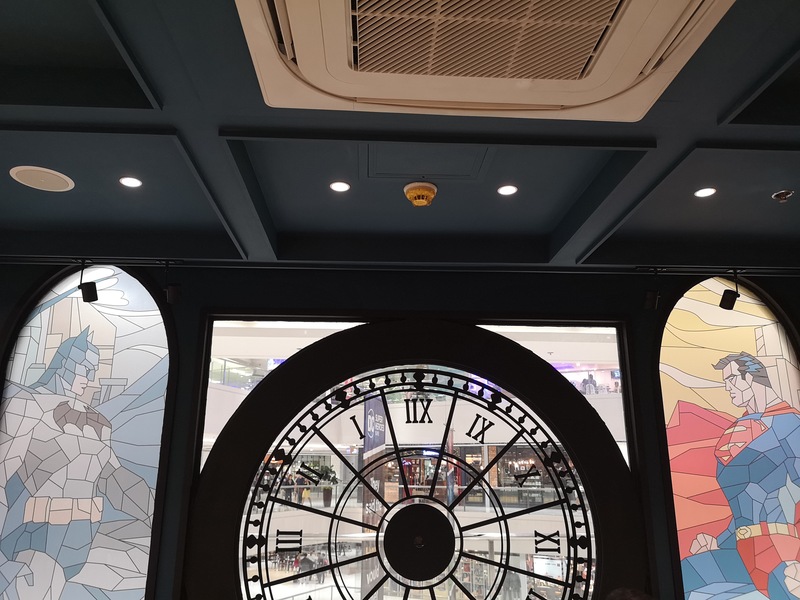 This cool stained-glass artwork of Batman and Superman with Gotham city’s famed clock tower in between the two superheroes just goes to show the amount of details weaved into creating this themed Cafe! Hot tip: Take photos of it from the inside, as the colors pop out better. 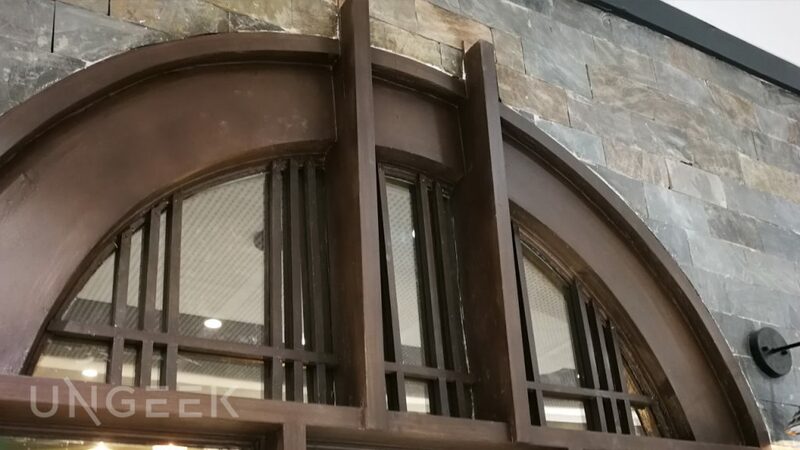 Rewards are given to the keen observers especially when you look at the seemingly mundane facade surrounding one part of the cafe. 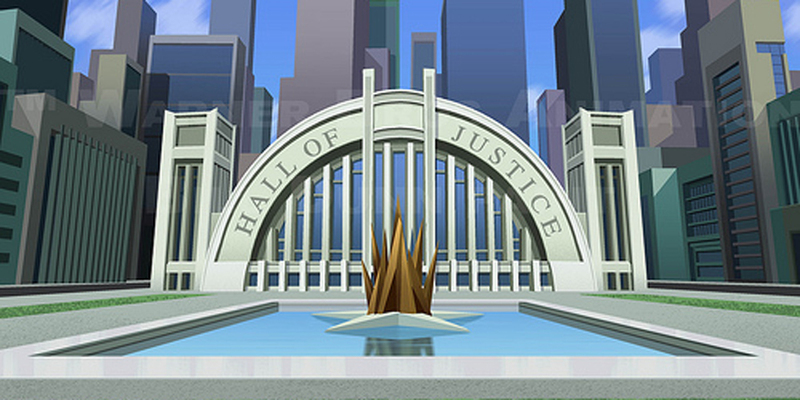 If these arcs seem a bit too oddly familiar, it’s probably because they’re designed after the Hall of Justice — best known for the headquarters of the Justice League back in the days. 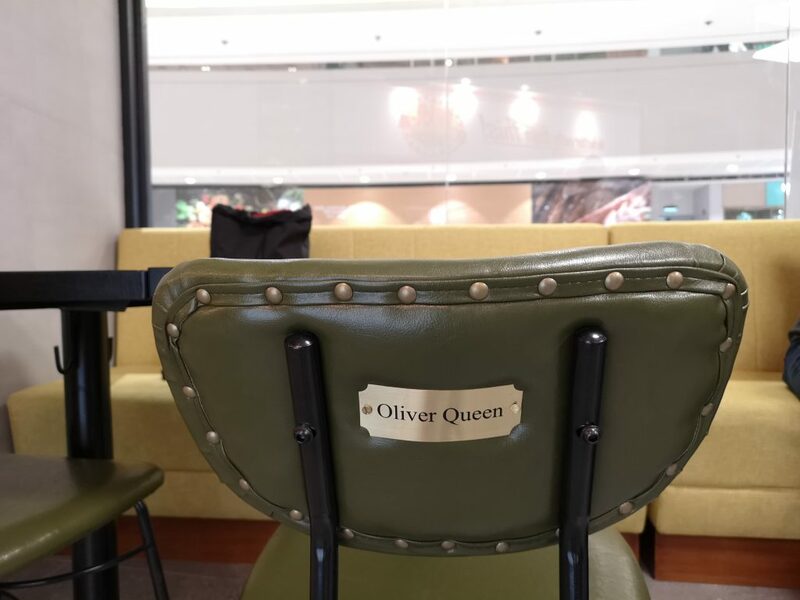 Expect people to hog chairs at DC Superheroes café especially if you want to park your bums on chairs reserved for billionaire playboys like Bruce Wayne or Oliver Queen as chairs inside this uber geeky restaurant have various nameplates with the names of iconic DC characters. We’re sure there are more and we’d like you to let us know if you found anything interesting that we may have missed! 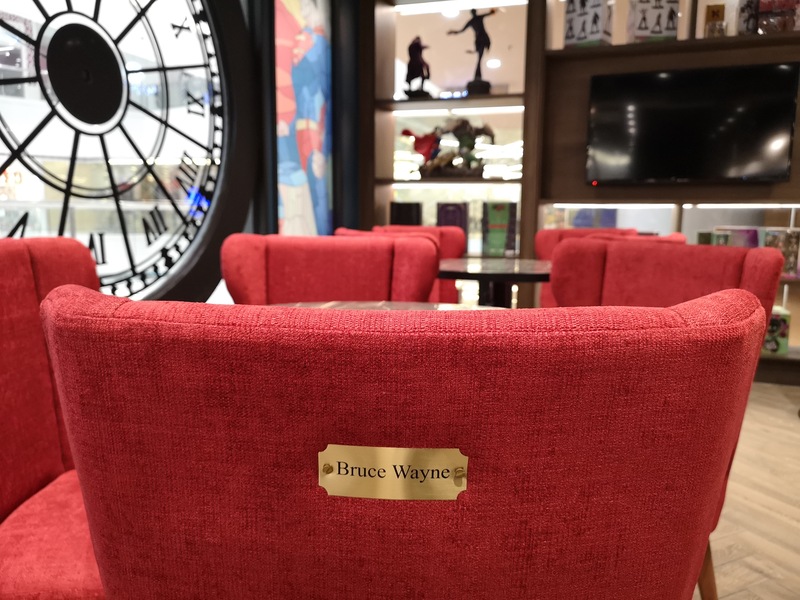 To those that are curious, the DC Superheroes Café Philippines opens to the public today, June 23, 2018. You may want to go in early as lines tend to be crazy – but trust us, with what we’ve saw, you’re going to have a tremendously super time in there! DC Superheroes Café is located at the 4th level SM Megamall Fashion Hall.